Bierbrouwerij De Koningshoeven is the only Trappist brewery in the Netherlands, not far from the Belgian border. The Abbey was established in 1881 and began brewing in 1884. The brewery provided a source of income to support the monastery and provide charitable service. The 10.0% La Trappe Quadrupel is a classic, dark Trappist ale with a full malty, caramel-sweet taste and a subtle influence of dates, honey and dried fruits. 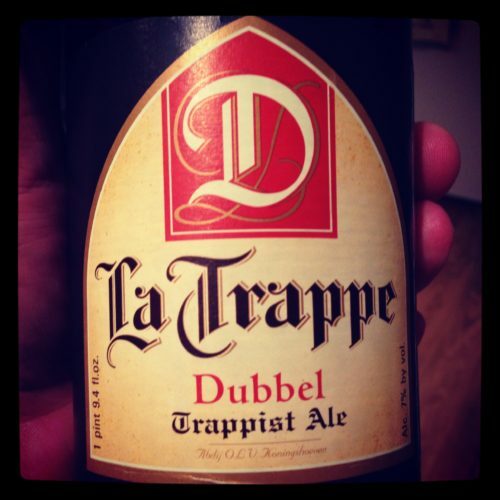 La Trappe Quadrupel is the heaviest ale of La Trappe Trappist ales and is eponymous of this ale style. A full, warming and intensive taste. Malty with the sweet tones of date and caramel, with aromas of cloves and nuts, balanced by the sweet aromas of vanilla, raisins and banana.